During a press conference last month, the Binational Breastfeeding Coalition announced the Breastfeeding Welcome Initiative. 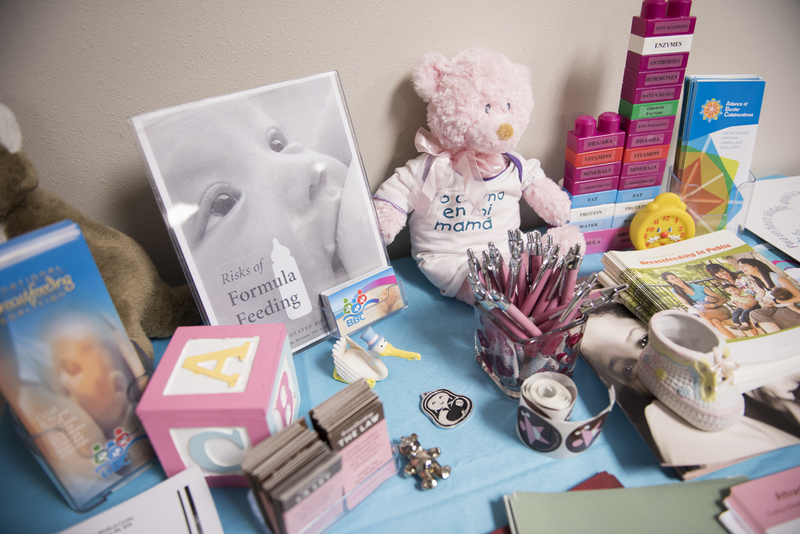 The initiative helps educate community businesses about breastfeeding in public and fosters mother-friendly environments for all patrons — a shared goal of the TTUHSC El Paso Gayle Greve Hunt School of Nursing (GGHSON)’s Baby Café. At the event, representatives from Ciudad Juárez, Mexico, the city of El Paso and New Mexico were present to announce and share information about the initiative. “It is important for us provide local support for breastfeeding moms because — although rates of initiation have been increasing — women face significant challenges after those first few days,” said Baby Café Director Lizabeth Berkeley. As director of the café and secretary of the coalition, Berkeley knows first-hand about what it takes to organize a binational organization like this. “Since we are one of the largest binational metropolitan regions in the world, our challenges are unique. The Binational Breastfeeding Coalition, with the help of the Texas Department of State Health Services’ US-Mexico Border Health Commission, has worked to include members from both sides of the border in our efforts,” Berkeley said. Since 2011, members of the Binational Breastfeeding Coalition have presented their research internationally; advocated as regional representatives for breastfeeding initiatives in Washington, D.C. for various national organizations; and have brought credentialing courses to El Paso with the goal of improving health care providers’ basic scientific knowledge of human lactation.